Printable word families cards OU AND OW sound. 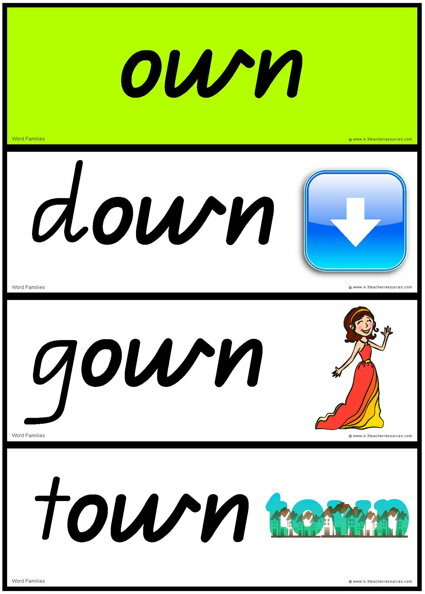 Includes OW, OWN, OUSE, OUT – ideal for phonics games, reference and activities. Word Families – most commonly used OU / OW sound….. PLEASE NOTE: You don’t have to print all the different layouts – just use the full words and pictures for classifying activities / or just print the pictures on their own for rhyming work – etc etc..